The Tánaiste has welcomed Greece’s move to “renegotiate rather than repudiate”. JOAN BURTON HAS has compared the new Greek Prime Minister’s debt approach to that carried out by the Irish government. Speaking at the Chartered Accountants Ireland annual dinner today, Burton said that she “noted with interest” the Greek Prime Minister Alexis Tsipras saying yesterday that he would “not be chasing ‘catastrophic’ solutions or acting unilaterally”. Burton also said that Greece was facing into a “very real humanitarian crisis” and that she would like to see the country getting “the maximum assistance possible”. She also spoke positively about the current Irish economic outlook, welcoming growth in employment, referring to the 27,000 new jobs that are set to be created in the export industry this year. Expressing positive feelings about the European quantitative easing programme, she said that she hoped it would, ”serve as a major stimulus, helping businesses to expand and create jobs”. The Tánaiste also said that she hoped the quantitative easing programme would allow small and medium enterprises (SMEs) to receive the credit they need. It was hoped that the new Strategic Banking Corporation would assist with this with a “fresh approach to funding SMEs” – ensuring a medium to long term credit line. Email “Greek approach "precisely what this government did", says Tánaiste ”. 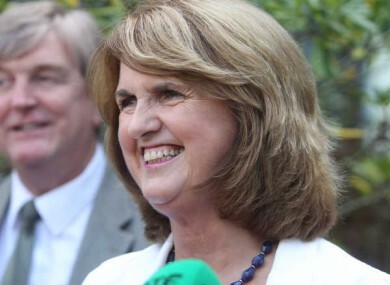 Feedback on “Greek approach "precisely what this government did", says Tánaiste ”.